Every business is looking for the best ways to cut costs while maximizing profitability, and technology and automation are often the key ingredients to greater efficiencies. Today, almost any business operation can be affordably performed on mobile, saved on the cloud and shared digitally anywhere in the world. Unfortunately, one area where many small businesses appear to be stuck in the technology dark ages is expense management. In fact, a survey of Small Business Financial Decision Makers revealed that businesses’ expense management solutions still lean heavily on manual methods that contradict employee needs and compromise overall profitability. Relying on manual systems may seem harmless and appear to provide cost savings upfront, but in reality SMBs are leaving money on the table when it comes to expense management. As you can guess, the most significant expense management cost is employee time. Manual processing requires dedicated time and attention of multiple employees from start to finish – each representing an opportunity cost in productivity that may cumulatively affect businesses’ bottom-lines. Companies whose employees use mobile expense reporting and travel apps for corporate travel save an average of 4.5 hours a month – that’s an entire weekevery year, according to the report “Your 2013 Guide to Travel and Expense Management,” by the Aberdeen Group. According to research firm Ardent Partners, the key differences between long-term success and failure for SMBs experiencing rapid growth are how well they manage cash flow, and the infrastructure they have in place to support their growth. A good first step is to upgrade your business tools from outdated to automated. This is the best way to reduce costs, boost bottom-lines and give back time so you can focus on creating profits rather than accounting for costs. 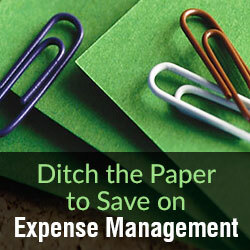 Don’t put off expense automation. Having complete visibility into your company spending will help you plan for the future, manage your cash flow, and assist in maintaining compliance. If you’re stuck staring at endless spreadsheets, you won’t have the time to see the big picture and focus on what really matters – your business. 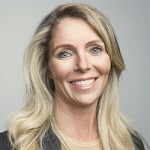 Christal Bemont is the Senior Vice President & General Manager of the global Small, Midsized, and Nationals (SMN) business unit within Concur, the leading provider of integrated travel and expense management solutions. Christal joined Concur in 2004 playing an integral role in growing Concur’s largest global clients, leading multiple sales teams to success, and developing & leading the Nationals segment. Living in the Greater Chicago area, Christal serves the community through supporting and volunteering at organizations such as the Anderson Animal Shelter and the local women’s shelter. In addition, Christal is a strong supporter of Feed My Starving Children, a non-profit organization committed to feeding hungry children.